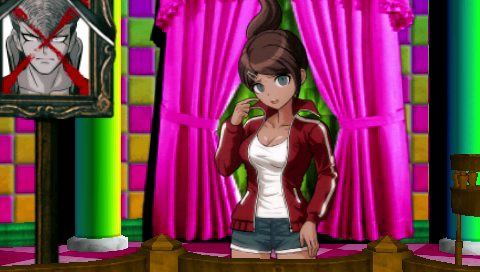 ...and then, could she have...?! 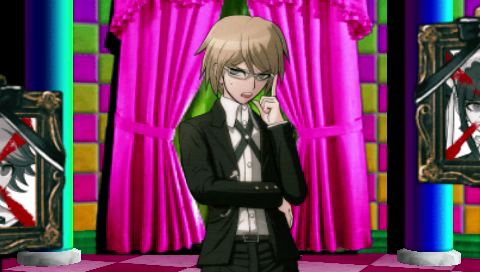 ...You say that, but you should know best that I'm not the culprit, shouldn't you? 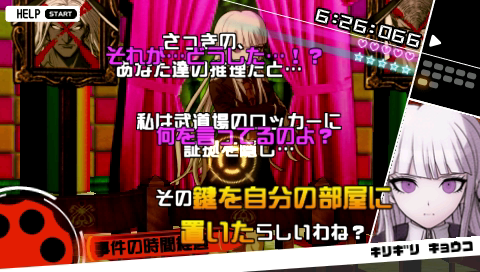 Togami-kun should know best that Kirigiri-san isn't the culprit...? 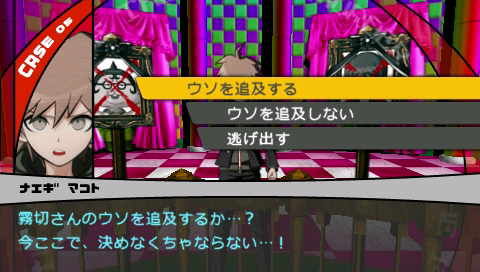 What you said just now... What did you mean...? 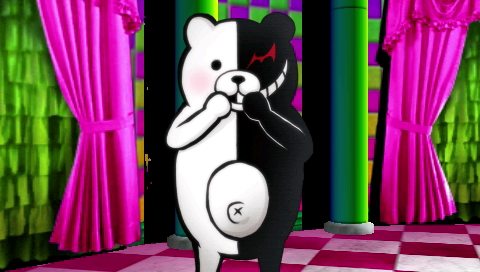 Is something you should know best. 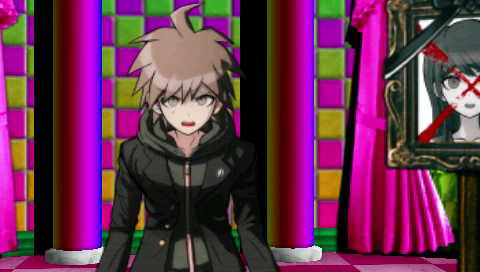 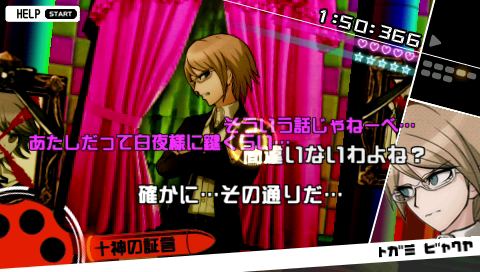 Togami-chi, are you hiding something from us?! 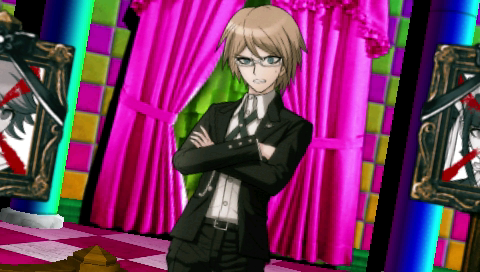 There's no way Byakuya-sama would hide something from me...! 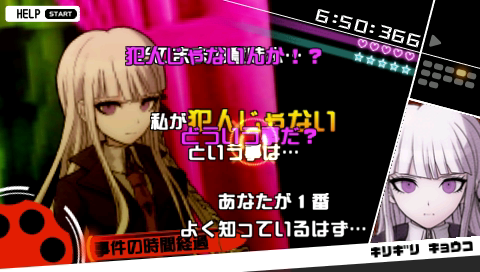 Kirigiri... do you have proof you're not the culprit...? 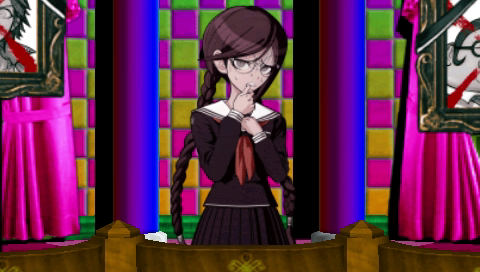 Is that what you're saying...? 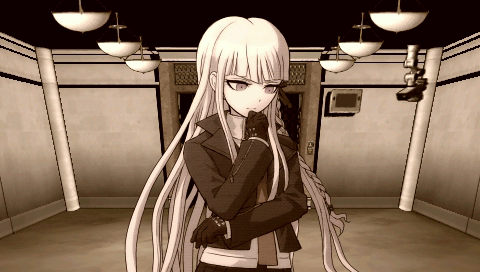 And left the key in my own room, didn't I? 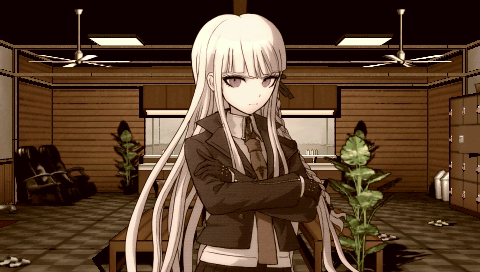 Could I really have done such a thing? 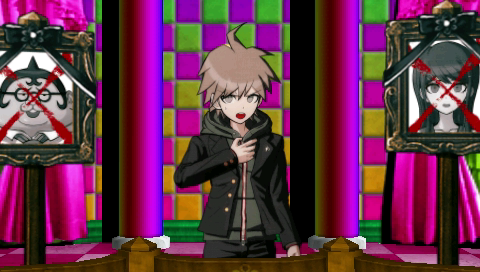 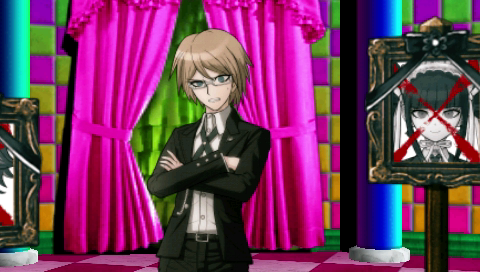 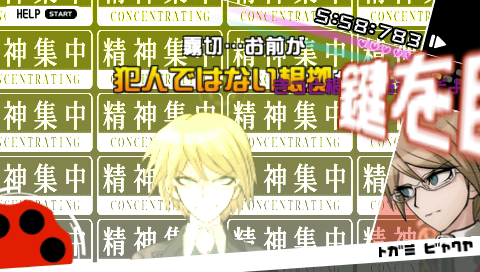 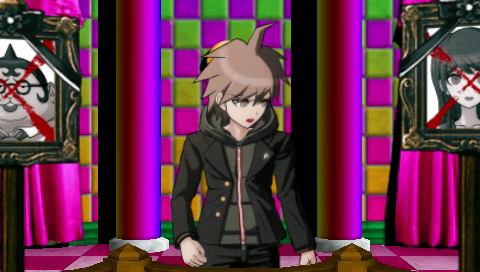 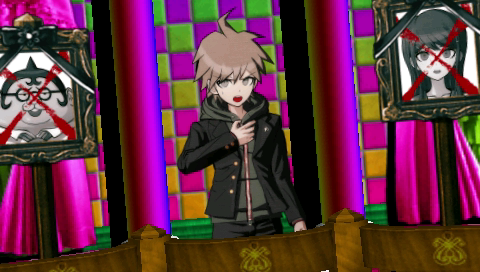 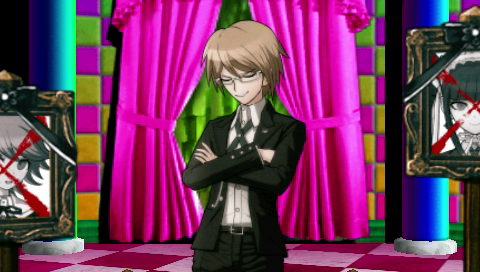 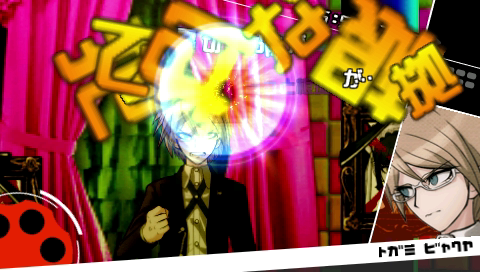 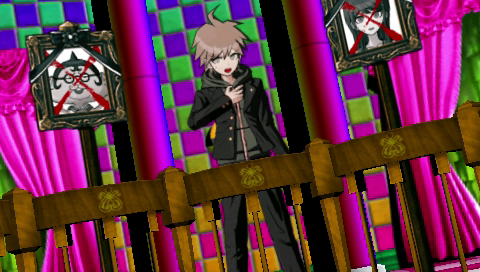 But, why Togami-kun, of all people? 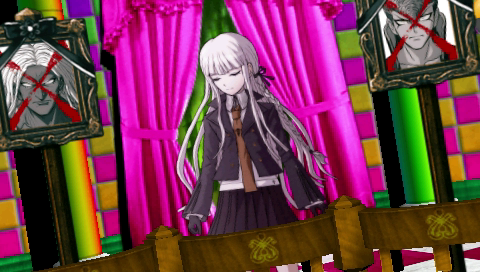 What's on Kirigiri's mind? 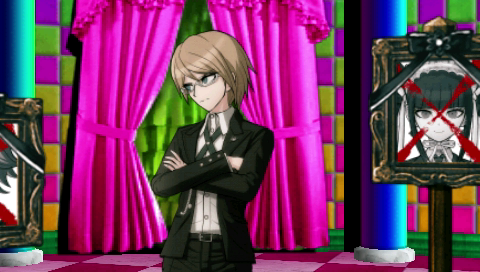 If Togami is involved, we can pull something she says out and use it. 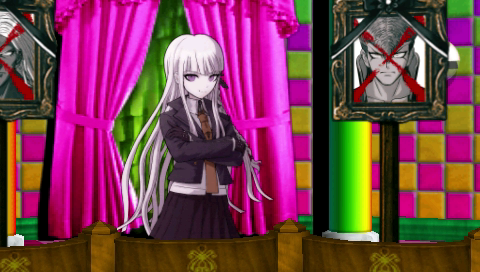 Kirigiri-san. 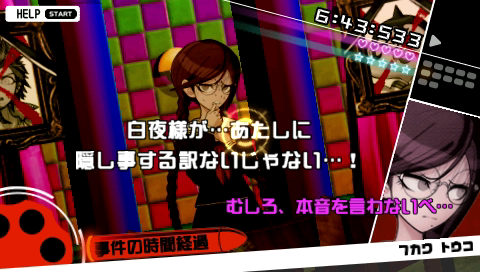 Are you saying you shouldn't have been able to enter your own room? 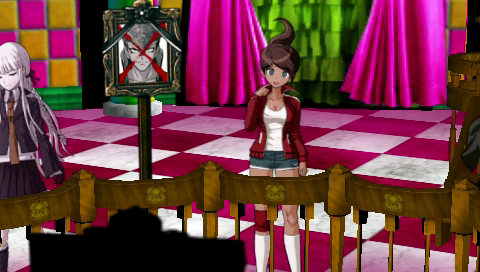 That's not like her at all! 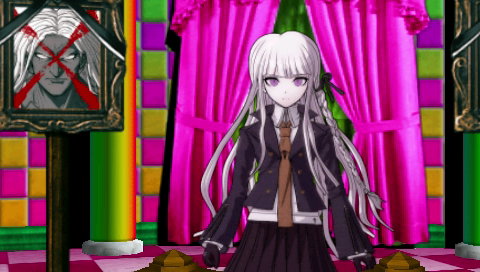 Does she want to push me into a corner so badly...? 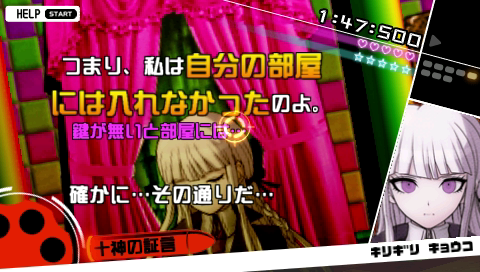 Is it because she's the culprit...? 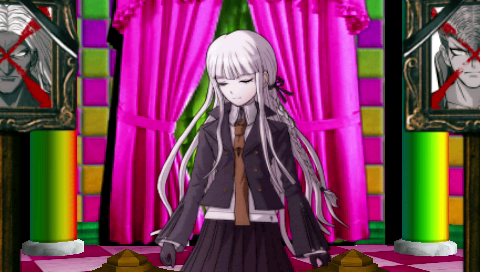 There's some hidden meaning in what she said before...? 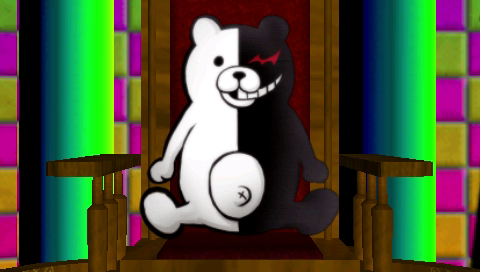 If I am executed now, this school's mystery will remain unsolved. 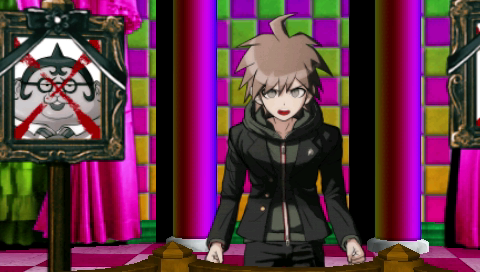 I cannot let that happen...! 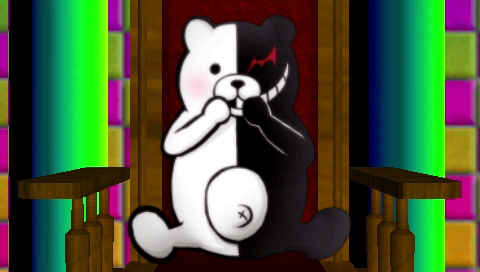 That's just the mastermind's trap! 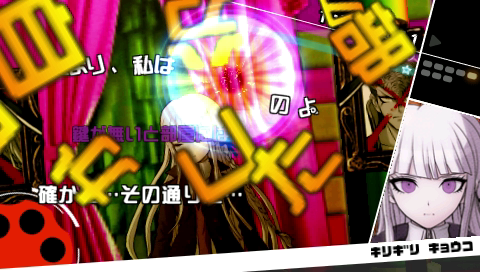 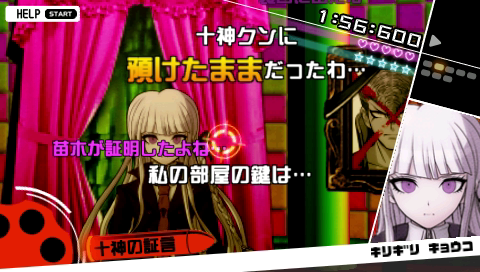 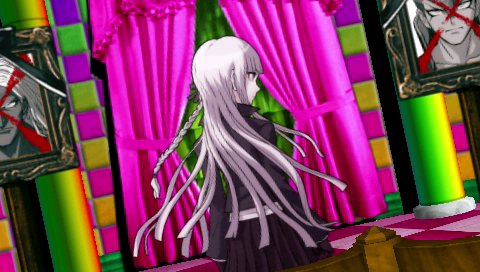 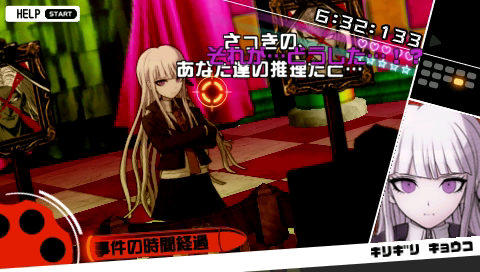 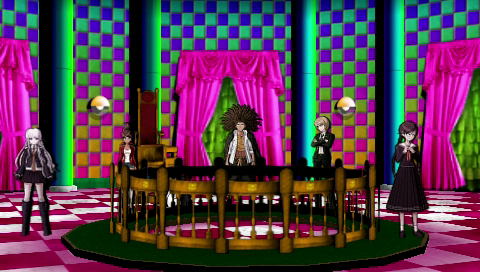 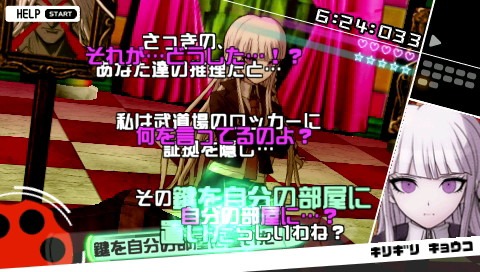 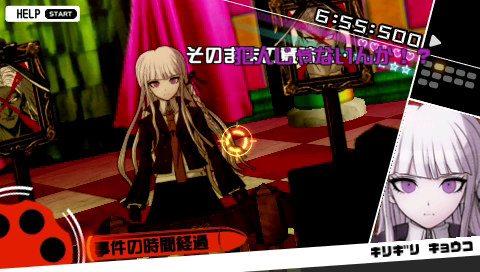 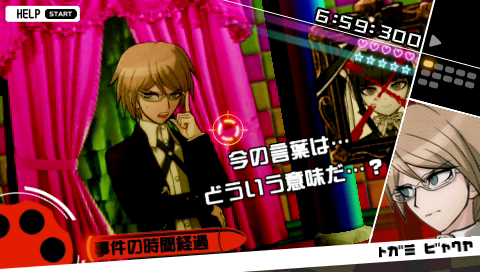 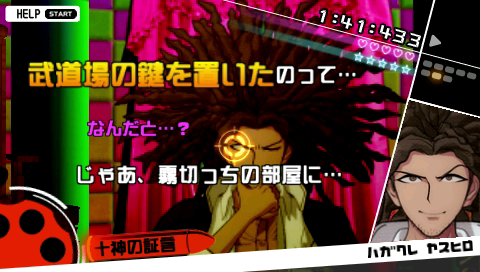 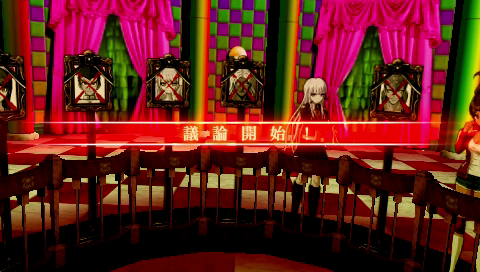 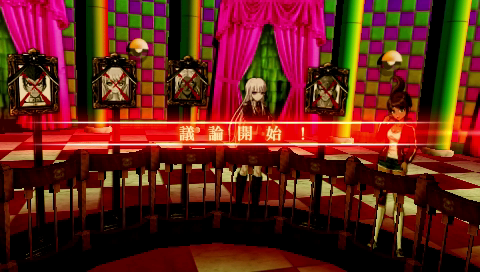 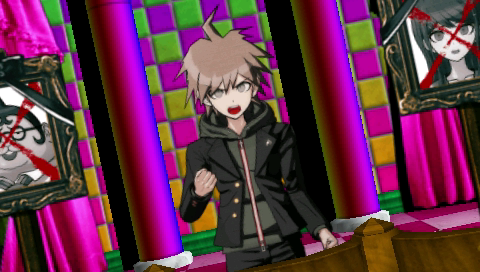 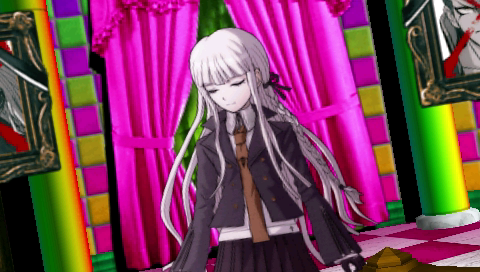 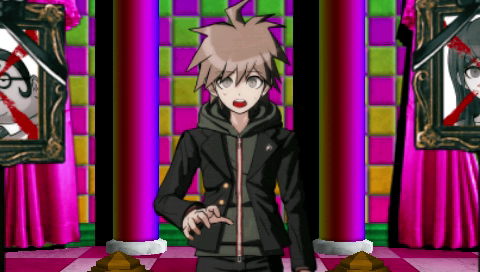 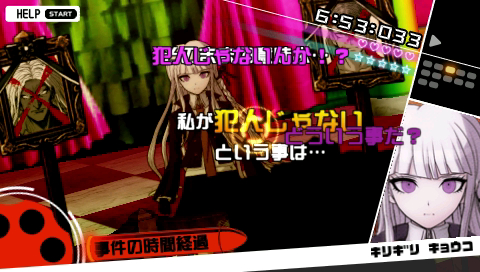 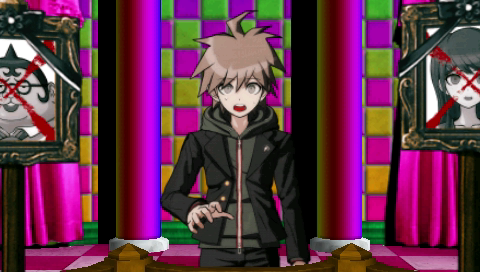 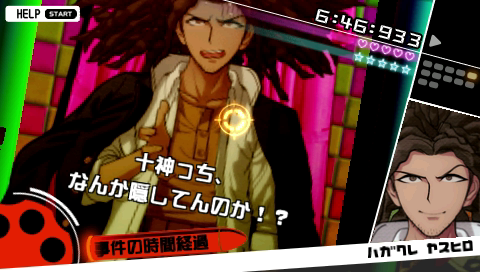 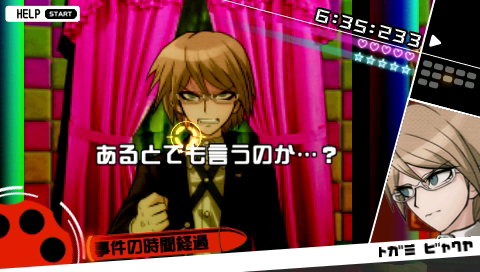 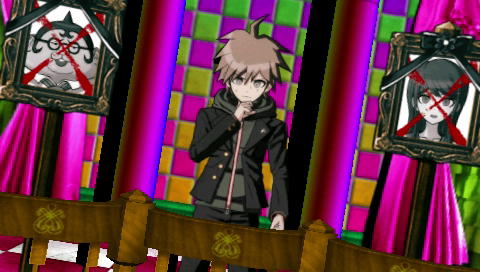 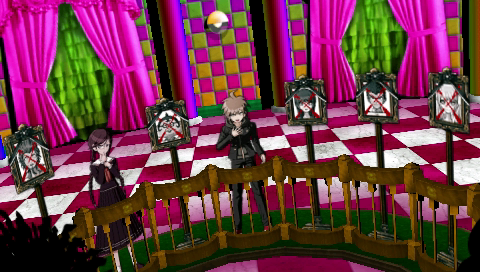 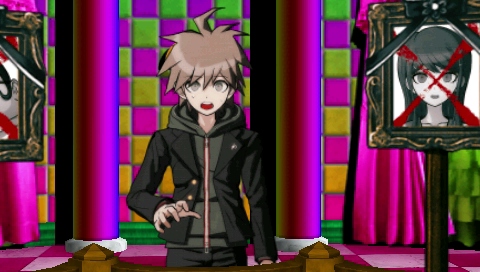 Is the mastermind... trying to trap Kirigiri-san...? 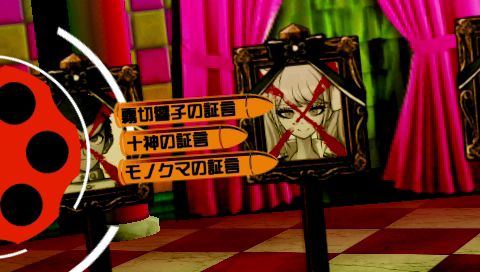 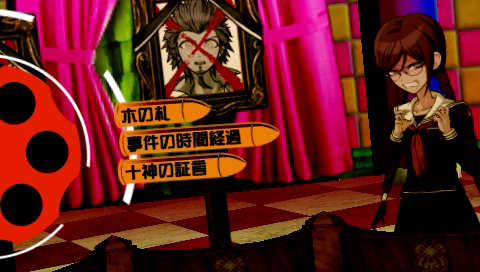 The victim is Mukuro Ikusaba...? 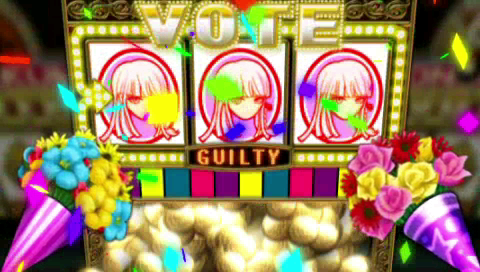 This is a trial. 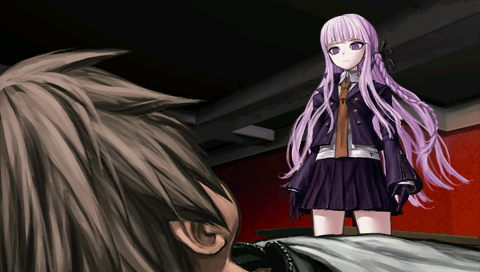 She's lying. 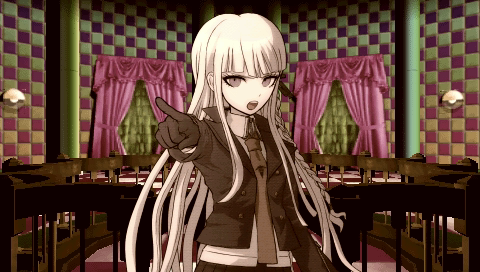 How can we ever reach the truth if we don't have every fact out in the open? 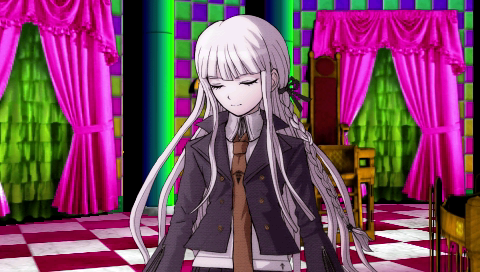 What Kirigiri-san just said... is clearly a lie. 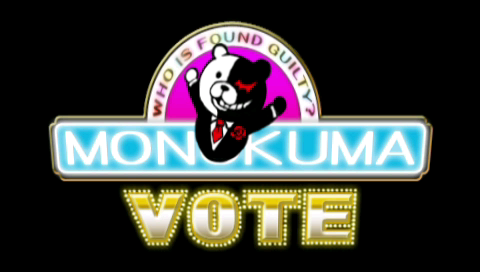 Let's hear your reasons. 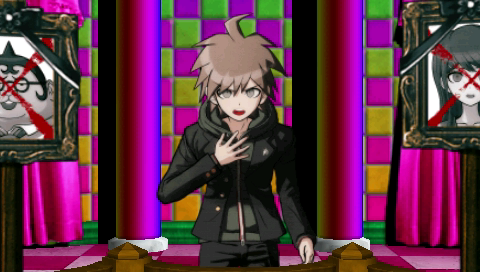 Where, exactly, was I lying...? 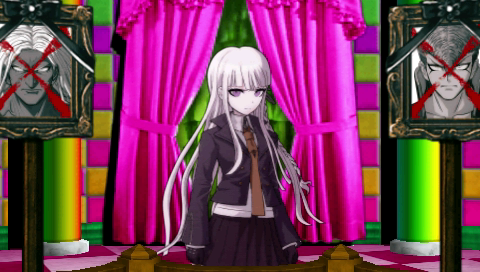 There is something about the truth she wants to hide! 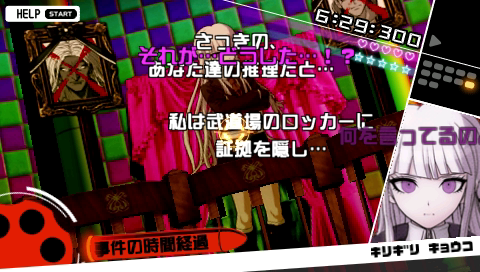 In other words, I couldn't enter my own room. Someone else put it there... That's the only option. 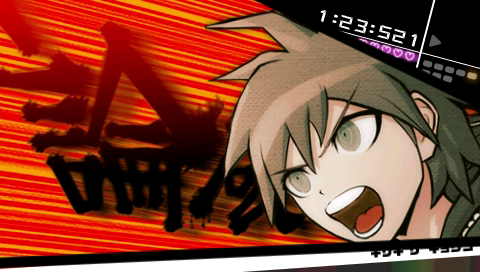 Is that... really the case...? 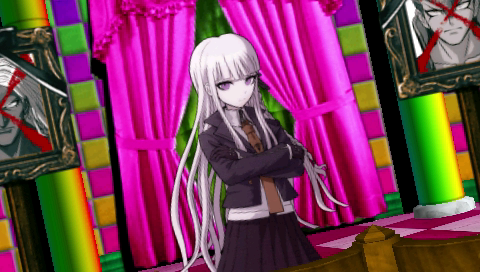 Yes, she's clearly lying. 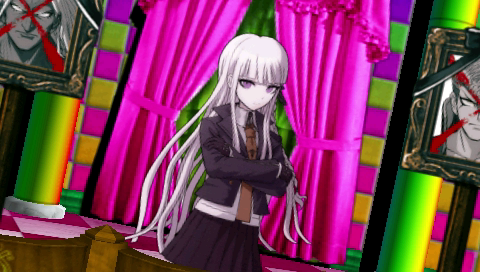 She told us so herself. 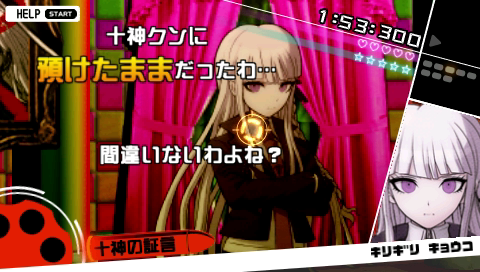 No, Kirigiri-san should have been able to enter her room. 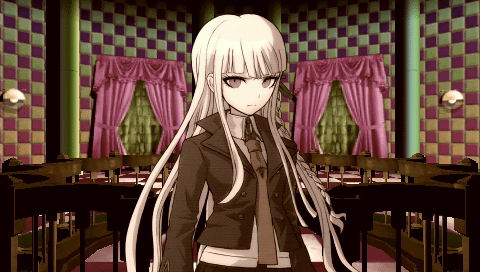 You told me that yourself, didn't you...? 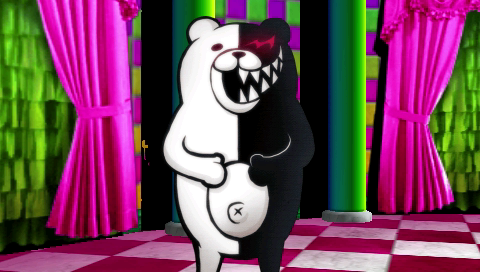 ...It's "Monobear's secret tool". 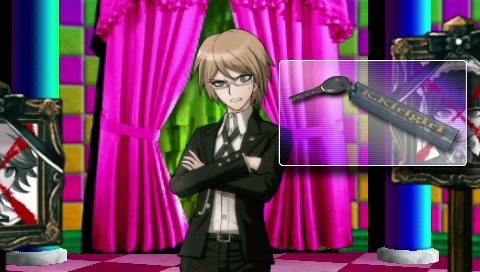 A key that can open any door in this school. 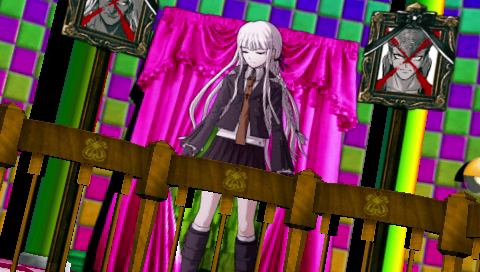 It's a key that can open every door in this school. Kirigiri-san stole it from the headmaster's office. 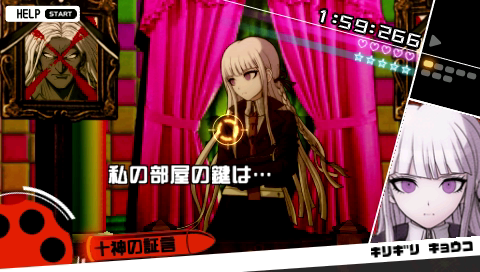 If she had that key, she could have easily entered her own room. 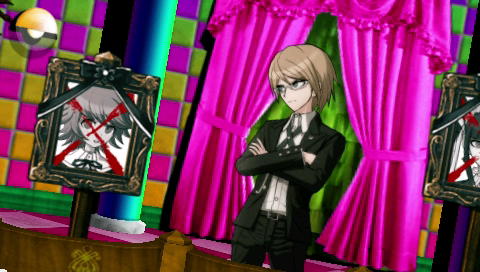 Are you willing to accept your own crime now...? 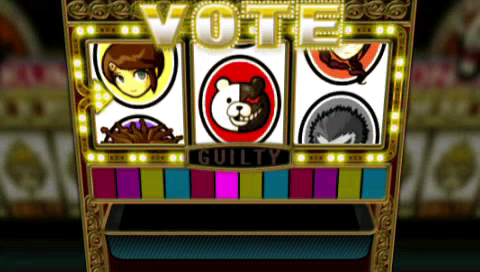 No, but I accept that I lost. 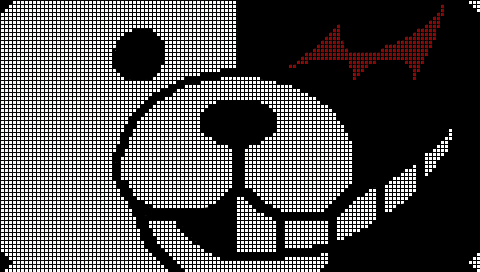 I'm sorry, but we're out of time! 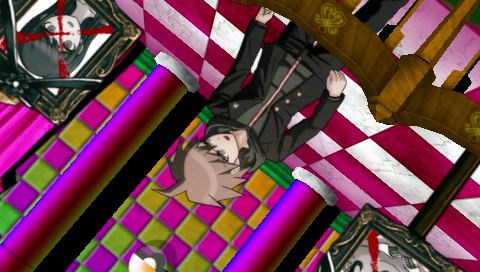 We're done. 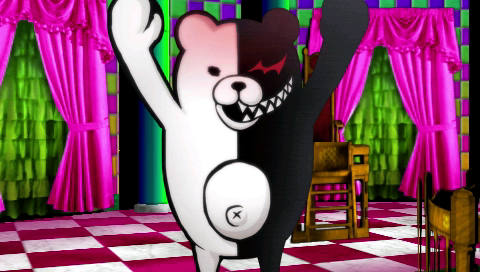 This school trial is over. ...W...Why are we having a time limit?! 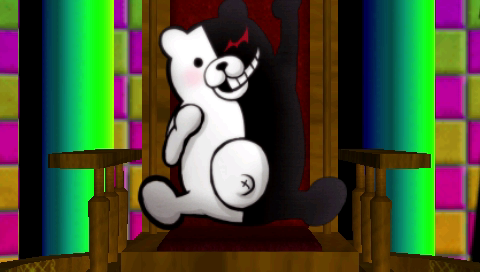 We've never had one before...! 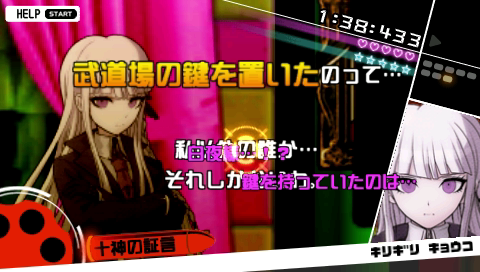 It's because Kirigiri-san was late! 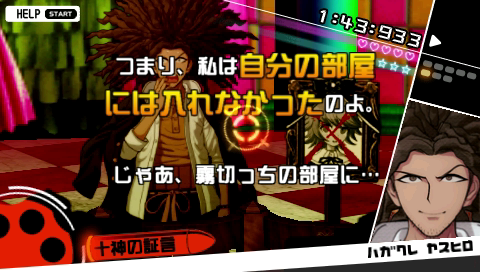 That's why we're pressed for time!! 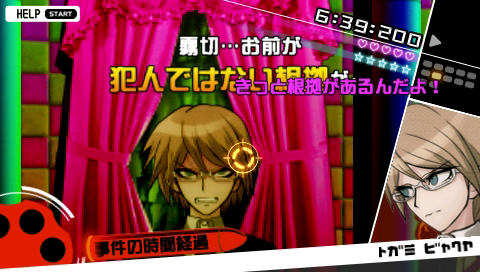 Ahahahahaha! 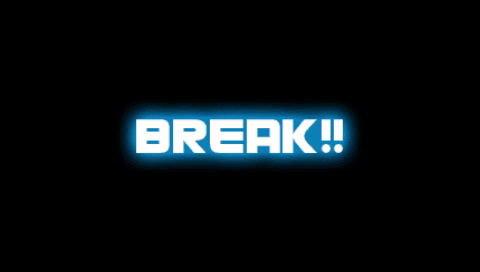 You did it again!! 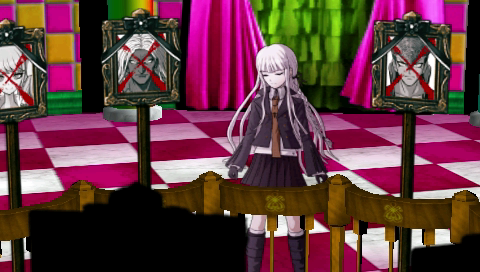 This entire school trial was strange...! 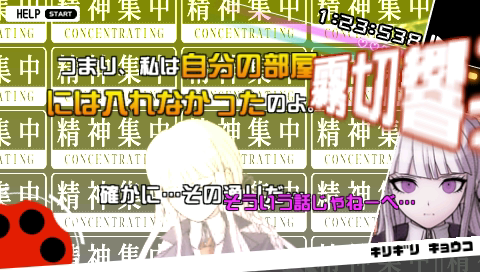 I prepared a special punishment today, too. 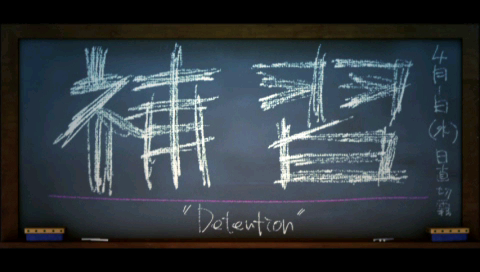 Let's start it! 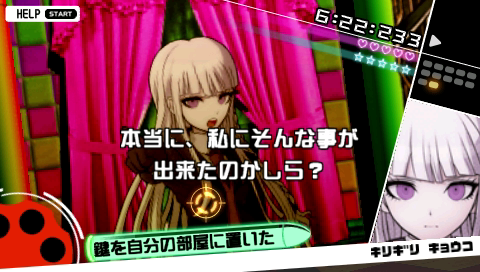 ...But there was no way to answer that question anymore. 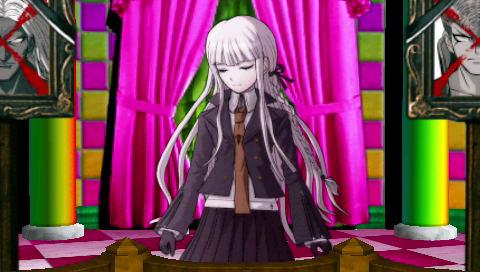 Even I stopped thinking about it. 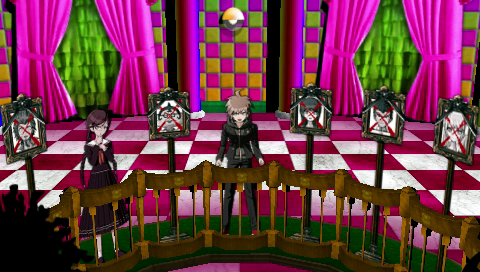 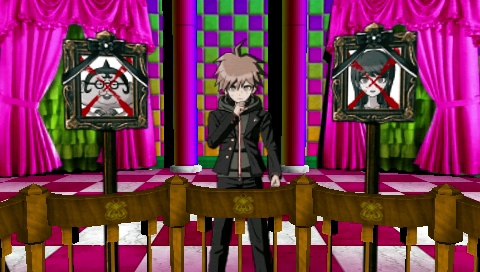 No murder ever took place again in Hope's Peak Academy. 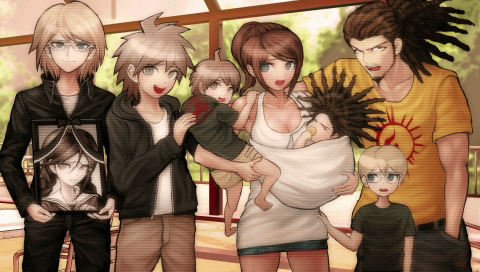 And like that, in exchange for everyone's sacrifice, we finally achieved peace. 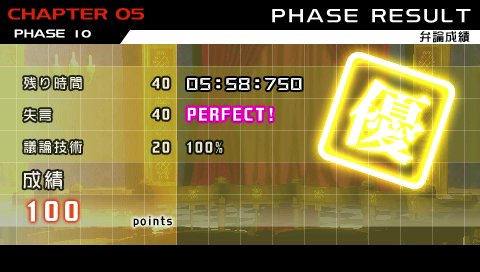 I guess that's it, then. 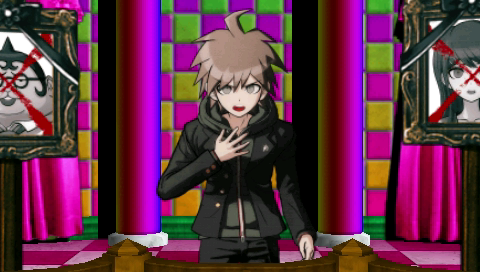 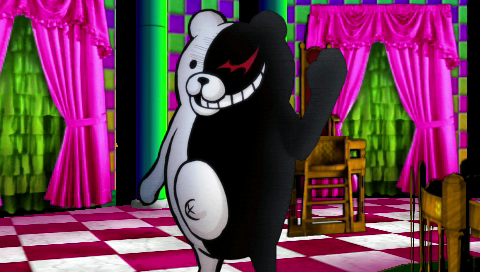 Thanks for reading Dangan Ronpa!